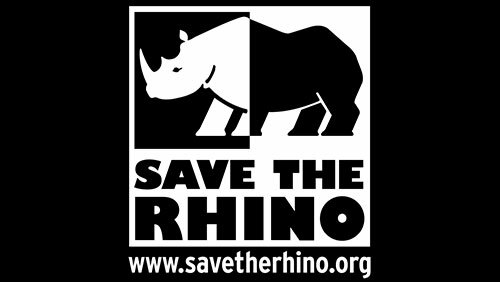 5th March 2019 – Pariplay Ltd., a gaming technology company serving iGaming operators, land-based casinos and lotteries, has announced a ground-breaking partnership with Save the Rhino International, a UK-registered charity celebrating its 25th anniversary. Centering around Pariplay’s latest and most exciting flagship game Rumble Rhino, 10% of all Pariplay profits originating from the game will be donated to Save the Rhino International. Through this collaboration, the two organizations are demonstrating a shared commitment to the conservation of multiple populations of endangered rhinoceros located in Africa and Asia. The unveiling of this partnership is timed in conjunction with SRI’s 25th anniversary celebration. In that remarkable stretch of time, the charity has been working towards its vision to protect all five species of rhinoceros in the wild for future generations. With assistance from various partners, the non-profit organization raised more than £2.7 million in the last financial year, funding projects including educational activities, established conservation programmes and community-led initiatives. Today, three out of five rhino species are critically endangered. By supporting rangers and anti-poaching units, actively reducing illegal trade, involving communities and bringing experts together, Save the Rhino successfully tackles the immense challenge of conserving rhinoceros species and their territories. Aligning with Save the Rhino’s vision, Rumble Rhino displays the rhinoceros at the centre of its game, which is designed to send players on an African exploration across the savanna and discover the raw beauty surrounding them. Rumble Rhino players will be greeted by a scenic introductory video that further expands on the partnership, providing information about the rhinos and depicting them thriving in their natural habitat. From there, Rumble Rhino effortlessly sets players on an action-packed gaming journey, complete with familiar symbols of the safari. The game offers players 100 paylines, as well as a traditional African “Mystery Mask” feature, wilds, scatters, a 4×4 mega Mask symbol, a bonus game and free spins. The “Mystery Mask” feature is especially exciting, providing the potential for massive winning combinations. 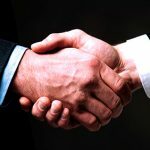 For more information about the partnership, contact Pariplay. 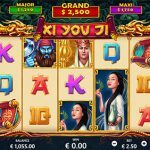 Pariplay Limited is a leading provider of Internet Gaming Systems, offering state-of-the-art, in-house developed gaming platforms and Internet games as well as integrated third-party games from leading industry companies. Founded in 2010, our team has over 70 gaming experts with offices in Tel Aviv, Israel, Sofia, Bulgaria, Gibraltar, Isle of Man and India, built to support our customers’ requirements in a dynamic and competitive environment. 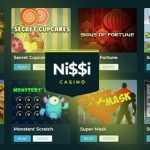 The group is licensed and regulated by the Gibraltar Gambling Commission, Malta Gaming Authority, the UK Gambling Commission, and the Connecticut State Government’s Gaming Division. Our Gaming Systems, RNG and all games are certified and tested by the leading testing labs and meet the highest industry standards for online gaming testing and certification. As a business-to-business provider of games of skill and chance, Pariplay fully understands the importance of responsible gaming and has implemented policies and tools within its systems and games to provide industry-leading entertainment in a socially responsible fashion. The system combines identity verification with age verification and geo-Location services to determine whether an individual meets the minimum age requirement and is playing within a specific territory. Pariplay has implemented multiple responsible gaming tools to meet different regulatory standards and have provided players with a sophisticated self-exclusion tool that offers them an easy way to manage their gaming habits. To find out more please visit www.savetherhino.org or watch this video here.